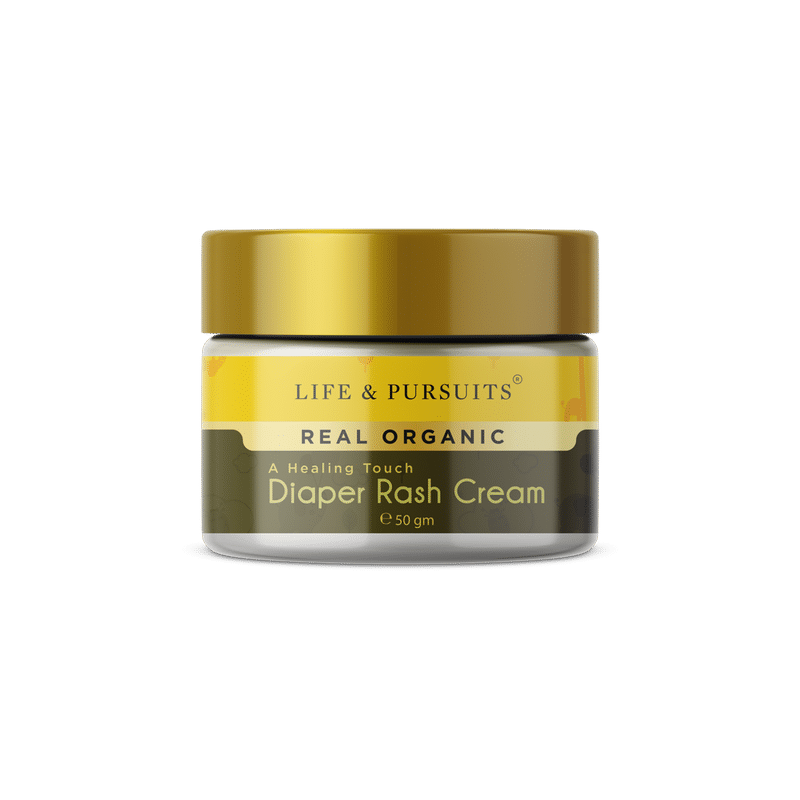 Diaper Rash Balm by Life & Pursuits soothes and heals irritated baby skin and rashes. It reduces skin redness and calms the baby. The balm is certified organic by NATRUE (Europe) to be truly natural and have more than 95% certified organic ingredients. Trust Life & Pursuits for your child's safety! A therapeutic blend of extra-virgin, cold-pressed, pure natural oils and medicinal Ayurveda herbs to soothe and heal irritated skin from diaper / nappy rashes. Ideal balm for new borns, infants and toddlers. Explore the entire range of Rash Creams available on Nykaa. Shop more Life & Pursuits products here.You can browse through the complete world of Life & Pursuits Rash Creams .